What does it take to create healthy teeth and gums for life? New research suggests it may not be as easy as brushing and flossing twice daily. Leading medical professionals are excitedly sharing new research that illustrates a strong connection between thoughts, emotions, and the physical structures of the body. In honor of National Dental Hygiene Month, our Miami dentist office would like to encourage South Florida residents to consider the “big picture” of holistic wellness. 1) NYU School of Medicine clinical professor, Charles Goodstein, MD, reports that thoughts and feelings may trigger chemical reactions in the brain. This shows a connection between the non-physical [mind] and the physical [chemical secretions in the brain] (i). 2) University of Pennsylvania professor Martin E.P. Seligman, Ph.D. reports that negative emotions like stress, sadness, and worry cause a spike in Cortisol, which in turn suppresses the immune system (ii). 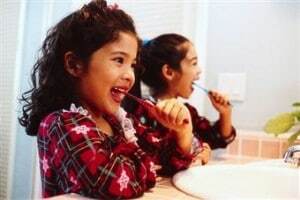 Holistic dentist professionals embrace these “big picture” connections by encouraging patients to consider at least 3 realms of wellness: diet, exercise, and perspective. Taking simple steps to eat well, exercise daily, and maintain an overall positive outlook may directly impact the body’s resiliency and ability to heal (iii). So, how does holistic dentistry relate to National Dental Hygiene Month? It is important to consider the concepts of holistic dentistry and wellness because the body is a large and intricately interconnected system. For example, one cannot hope to effectively fight tooth decay without also taking steps to better their diet. Moreover, one cannot effectively prevent disease without staying cognizant of the ways our emotions may weaken our immune system (as documented by Dr. Seligman above). In short, those individuals who proactively concern themselves with all areas of wellness—and not just the oral tissues—are positioned to preserve their teeth and gums for life. 1) Stay conscious of diet. Preventing tooth decay starts with smart food choices. Things like simple sugars and starches can accumulate on the enamel of the teeth, forming the plaque and bacteria that cause decay. Limiting sugar and starches is a step in the right direction. 2) Exercise! Exercise may dramatically increase the overall health of the body, even in sessions as short as 15 minutes long. Exercise increases blood flow, oxygen delivery, and reduces stress. Each of these benefits has a positive impact on mental, physical, and emotional well-being. 3) It’s all about perspective. Encouraging children to keep a positive perspective on day-to-day life may lay the bedrock for other positive habits. A positive perspective encourages healthy food choices, daily brushing/flossing, and other habits that substantially reinforce overall wellness. Assure a Smile takes pride in providing only the highest quality of service to each of our patients. We are committed to ongoing patient education, because educated patients are empowered to make healthy decisions that create lifelong healthy habits. We call this holistic approach “people dentistry,” because it’s all about the person. Everyone is unique, and each patient deserves unparalleled attention. You may schedule an appointment online with Assure a Smile to learn more about holistic dentistry. We also invite Miami residents to contact our front desk at 305-274-0047.